Into every life, a little rain must fall. For self-owned businesses like most real estate agents, that rain is made up of the IRS and quarterly taxes (and, of course, that dreaded date in April). Gathering, keeping and transmitting important real estate business information is essential when it comes to keeping your financial head on straight and making sure you have the correct information to submit to your accountants. And, there’s an app for that. Actually, there are two possibilities that often arise when people discuss keeping track of your real estate expenses: Expensify and Mint. Mint (also known as Mint.com) is a robust personal finances management system that allows the user to track their banking and credit transactions, along with creating and observing budgets and other financial goals. Creating a Mint.com account isn’t that difficult, and Mint has apps for all platforms (Apple, Android, etc.) on all devices. One of the things that makes Mint so great is that it relies on your account(s) information to be able to accurately keep current on what you have, what you’re able to spend and where you might need to work on saving. One of the things that people dislike the most about Mint is that it relies on your account(s) information, and needs constant access to that account/those accounts. How is Mint a good suggestion for real estate agents? Mint is a quick overview of what money you have for different budgets; in real estate, this could be a business account that you track with budgets for Marketing, Office Supplies, Transportation, Licensing, etc. At a glance, you’ll be able to decide whether that next investment fits with your budgetary goals, or whether a few more transactions are needed before you make the plunge. However, be aware that it requires access to all the requisite banking and credit accounts to be accurate and successful. Expensify, on the other hand, doesn’t necessitate access to banking accounts. Instead, Expensify relies upon the individual or team members to input the data required to create different expense reports. 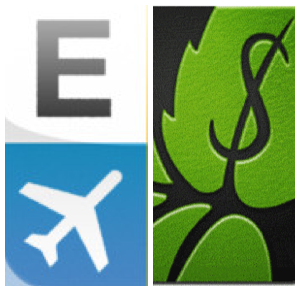 Like Mint, Expensify has an app that translates across many different platforms and devices. For free, you can take pictures of receipts and manually input the receipt information. If you pay a fee, the system “reads” your receipt and inputs the information for you. You can create different categories for each receipt, plus tag each receipt for easy categorization. What I like about Expensify is that you can input information not only from receipts, but also about mileage and time. Expensify also allows for different customization fields (for a fee). How would this work for a real estate agent? Expensify allows for a direct accounting of all business expenses plus mileage to be claimed. Also, it allows for categorization of expenses and, most importantly, a download showing all the different expense categories for submittal to an accountant. Furthermore, you can include banking and credit card information if you so choose for the most robust expense report tracking experience. What’s the conclusion? For me, Mint has been valuable for personal tracking of expenditures, but for a real estate business, Expensify is the most well-rounded and easy app to use for tracking real estate business expenses. It offers everything a real estate agent could want, and with the different categories, makes our real estate accountants very happy too! Have questions about Mint or Expensify (or any other real estate expense tracking applications)? Please contact me at: training@c21redwood.com.